The City of Belleville is home to a thriving community of 50,000+ people, set at the mouth of the Moira River where it meets the Bay of Quinte. 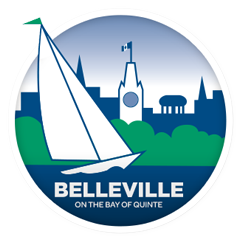 Just off of Highway 401 and nestled along the Bay of Quinte, The City of Belleville is easy to get to by car, train, bus or boat. Once you’re in town, make sure you take advantage of everything this friendly city has to offer. Experience world-class fishing, boating, cycling and walking along the Bay of Quinte and the Moira River. An historic downtown core, with restaurants, shopping and an unbeatable live music and theatre venue are at the heart of the city’s appeal. Gaze in awe at unbeatable summer fireworks displays and dive into local festivals celebrating music, food, history and life on the bay. The Belleville Chamber of Commerce holds a voice at the Municipal, Provincial and Federal levels, speaking on behalf of businesses towards the concerns that matter most. As a gateway to the business community, the Chamber strives to provide support to ensure that Belleville has a strong, growing and healthy economy. Currently, the Belleville Chamber of Commerce represents and celebrates the success of over 600 businesses, from small home-based single proprietorships, to large corporations.